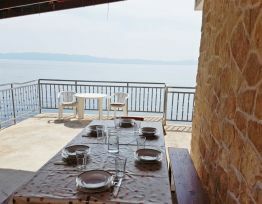 If you are looking for a perfect getaway far from city noise and rush, we offer you just that. 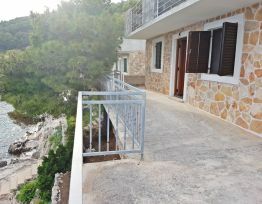 Surrounded by untouched nature, our house offers you lots of privacy, crystal clear sea and peace and quiet. 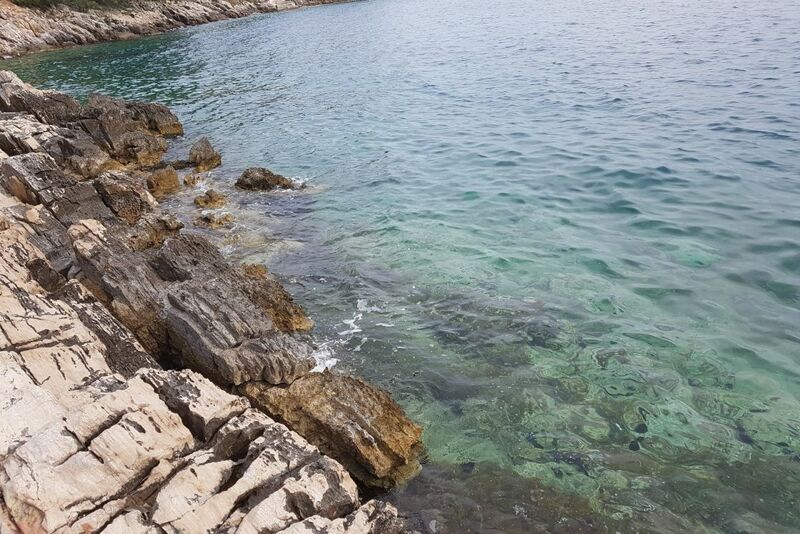 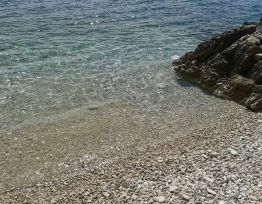 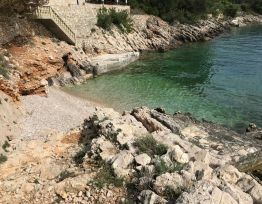 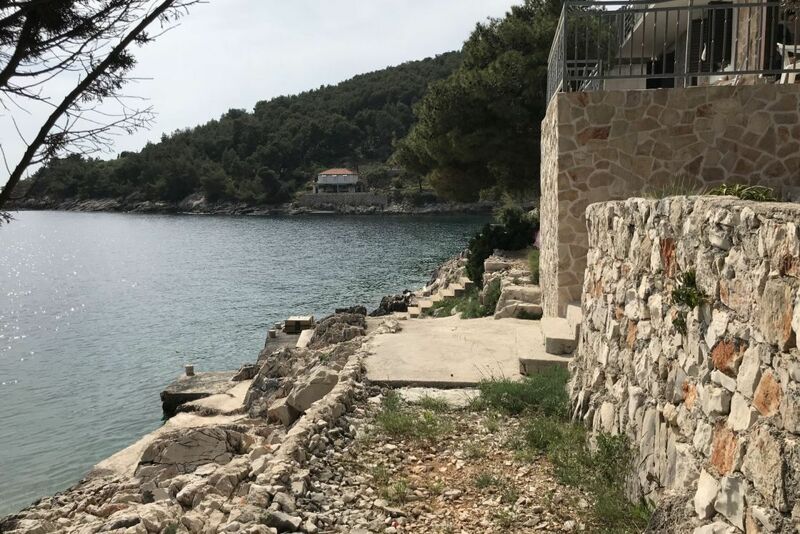 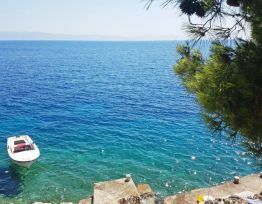 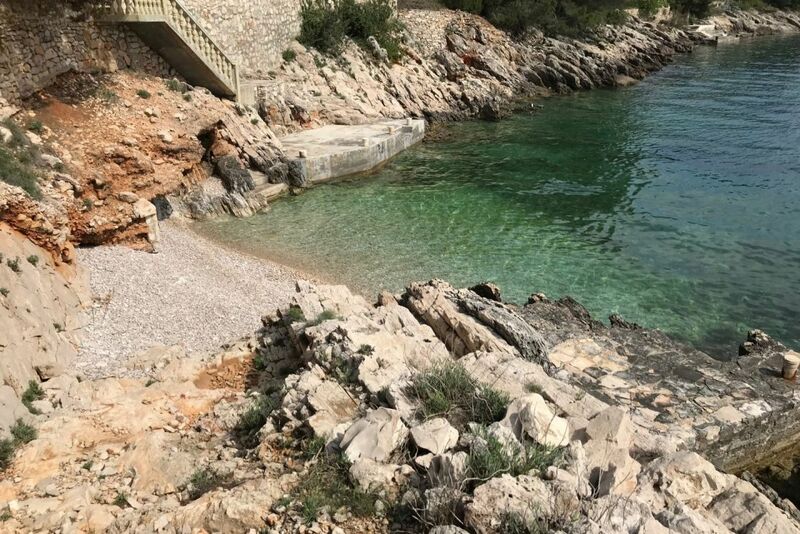 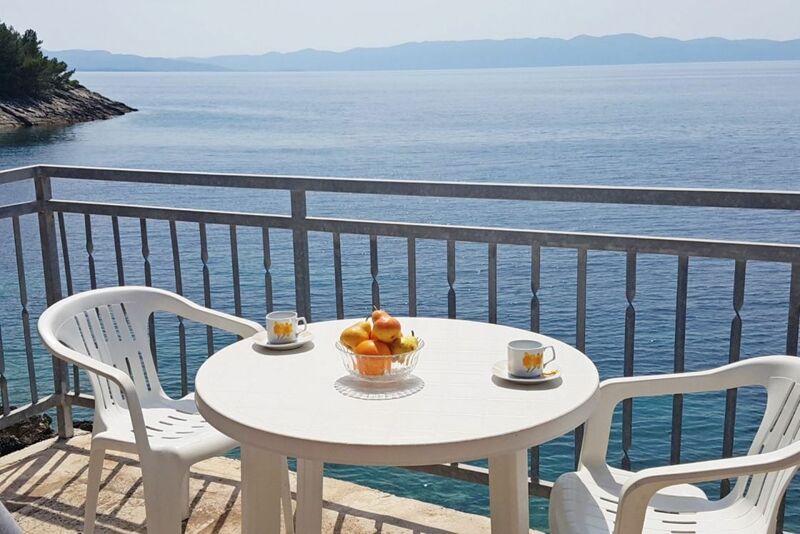 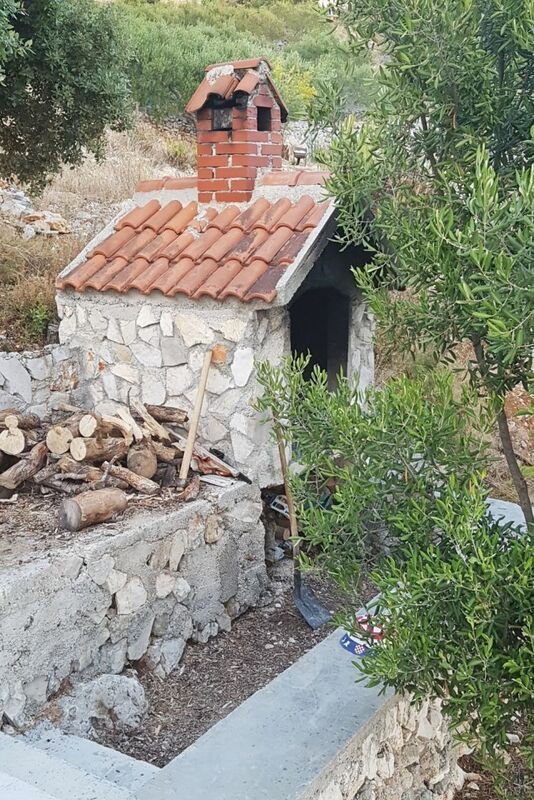 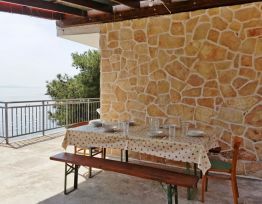 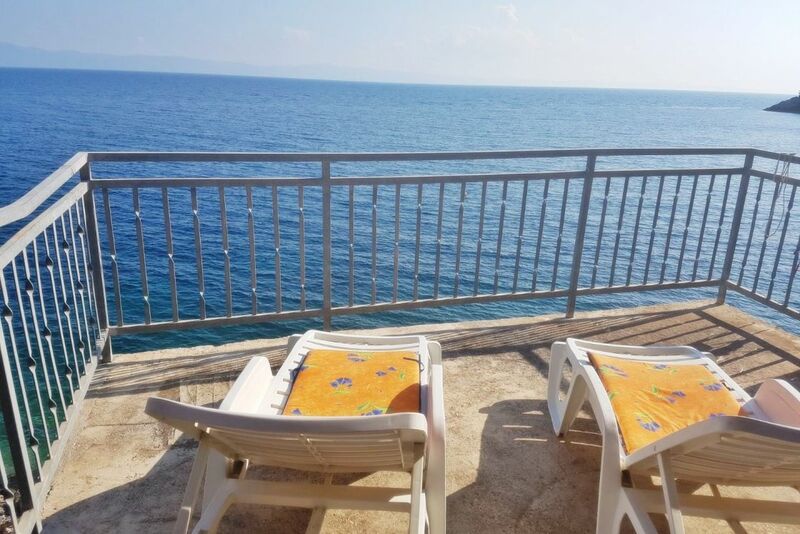 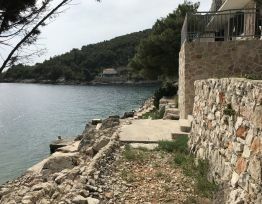 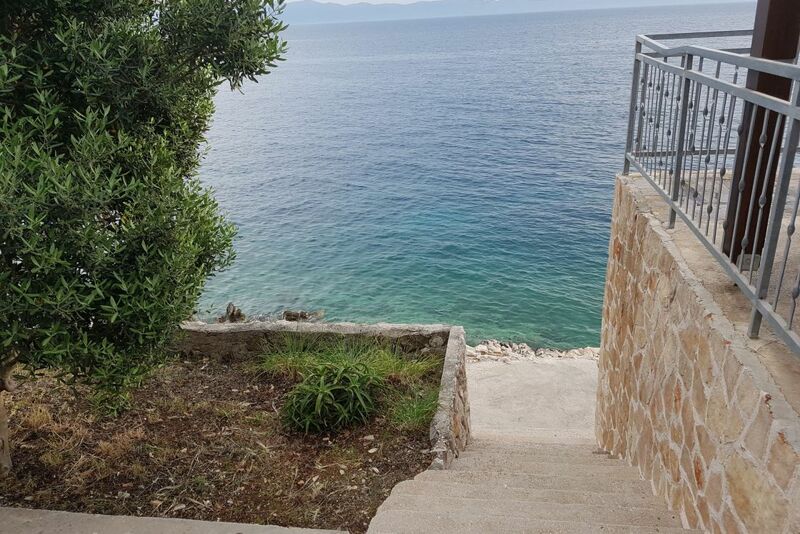 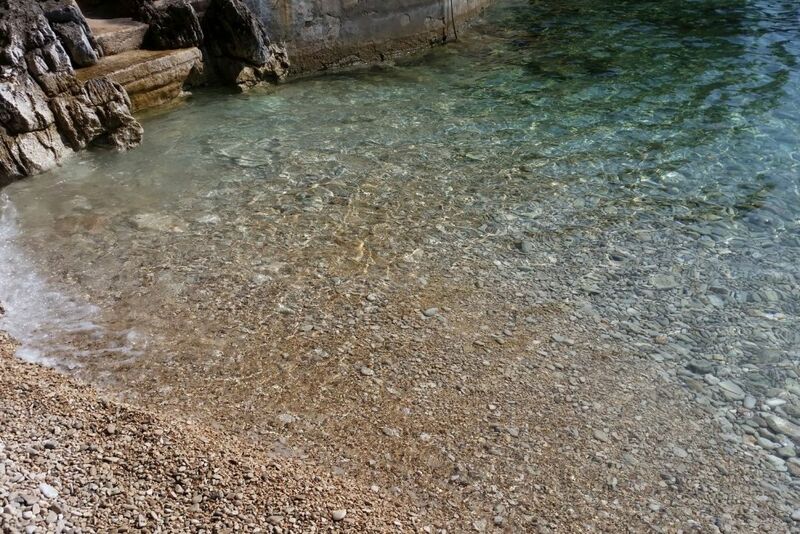 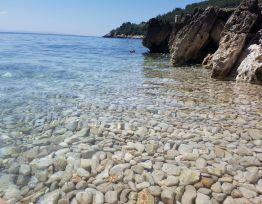 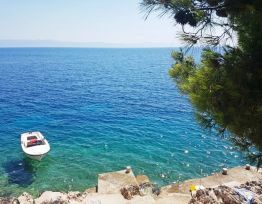 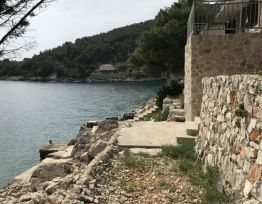 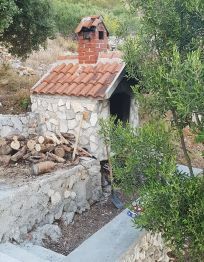 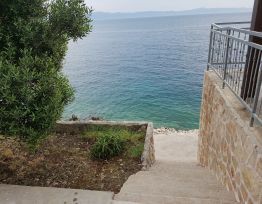 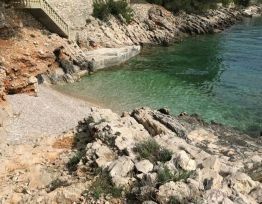 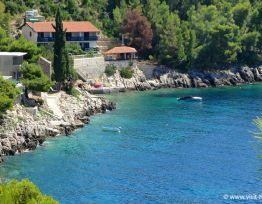 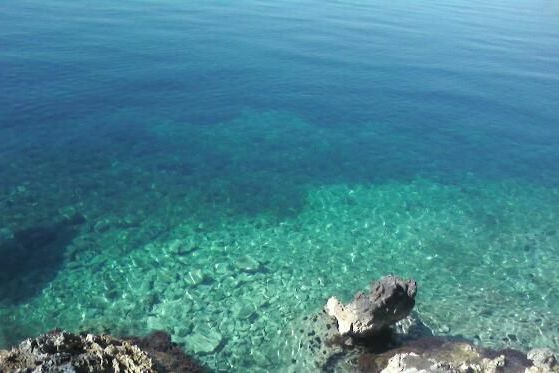 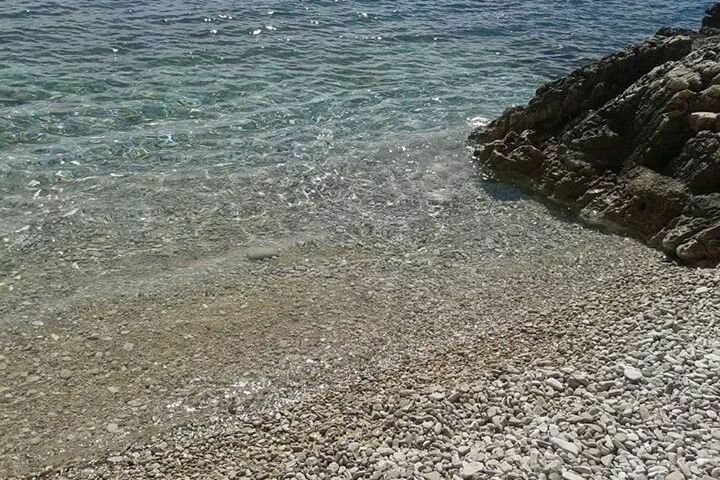 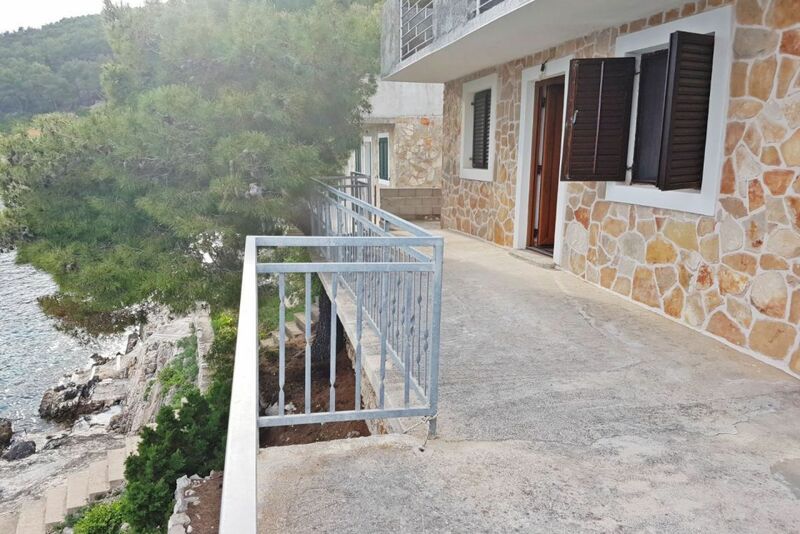 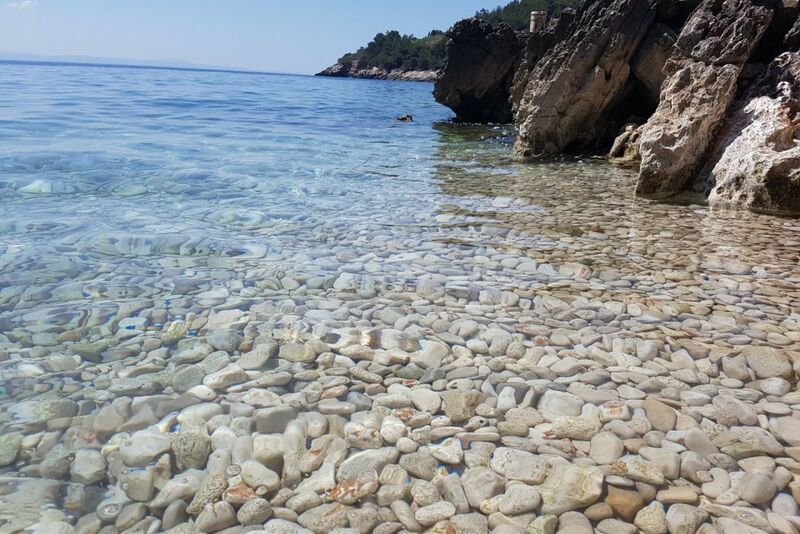 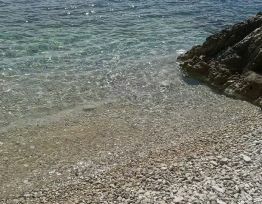 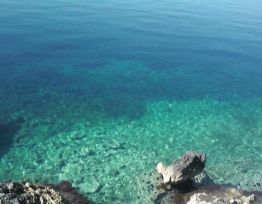 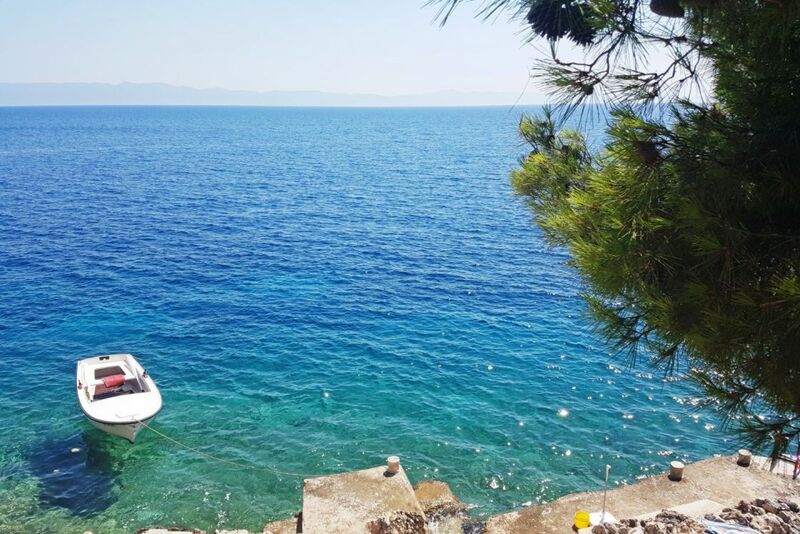 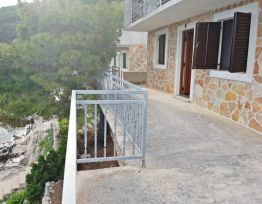 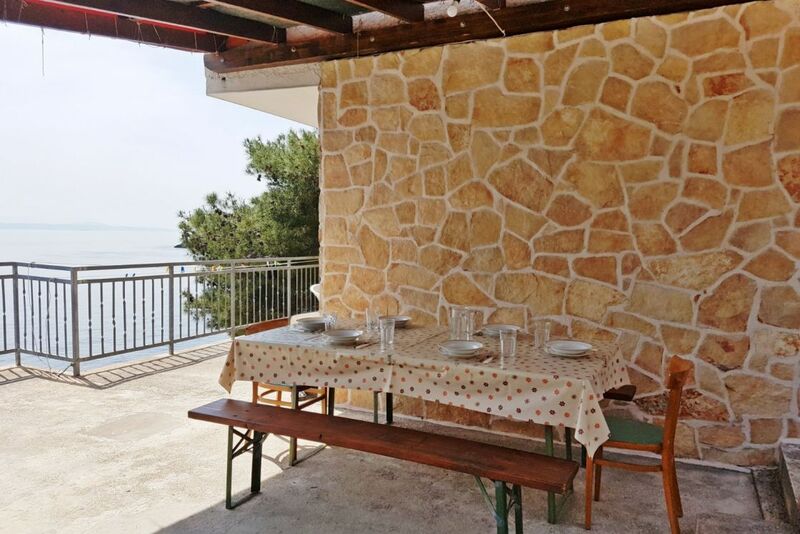 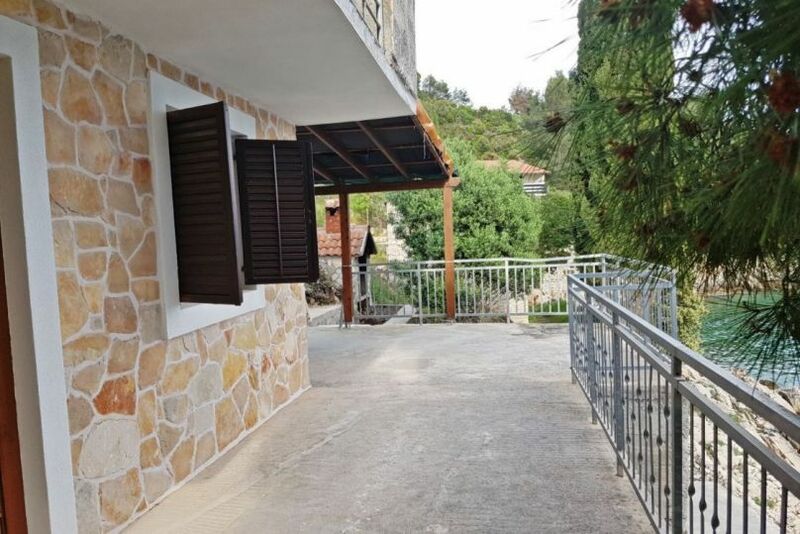 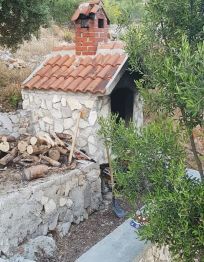 Our house (Robinson type) is situated in a small bay Lucica on the south side of the island Hvar, below the village Gdinj (3,5 km), only 7 m from the sea. 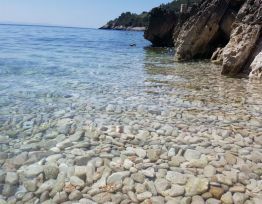 We offer you Robinson type tourism. 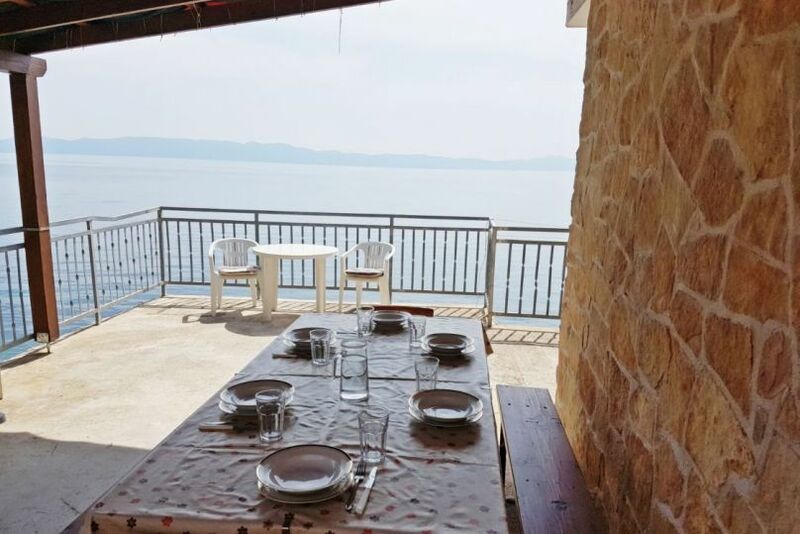 Electrical power is generated using solar panels, so it only allows you to power lights, mobile phones and laptop. 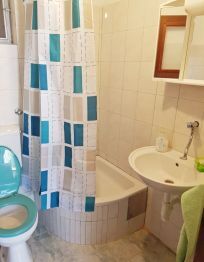 Other electrical devices, such as hair dryer, iron, owen, toaster and similar, are not allowed to use. 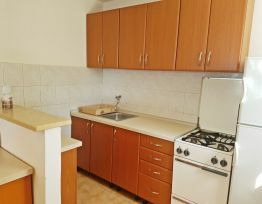 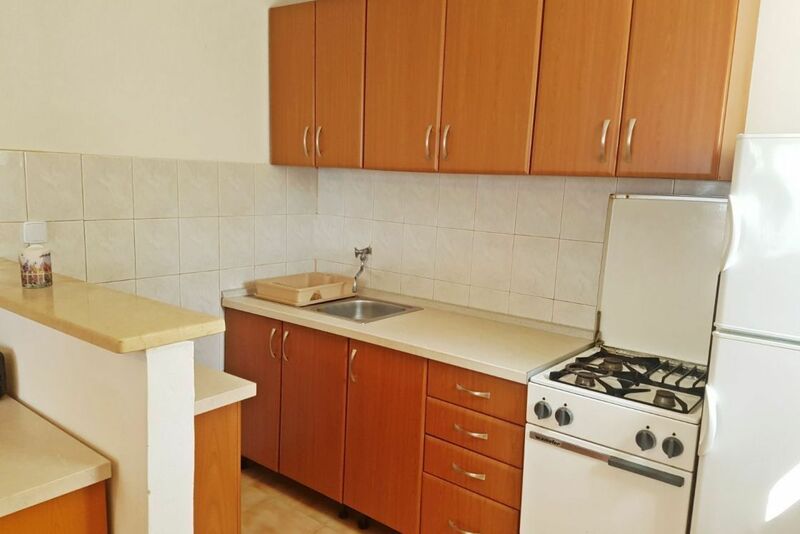 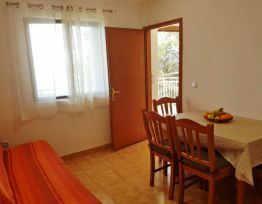 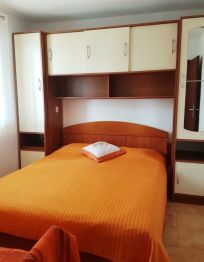 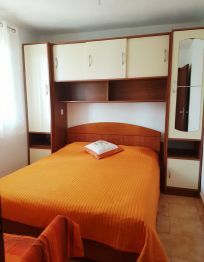 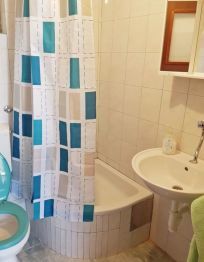 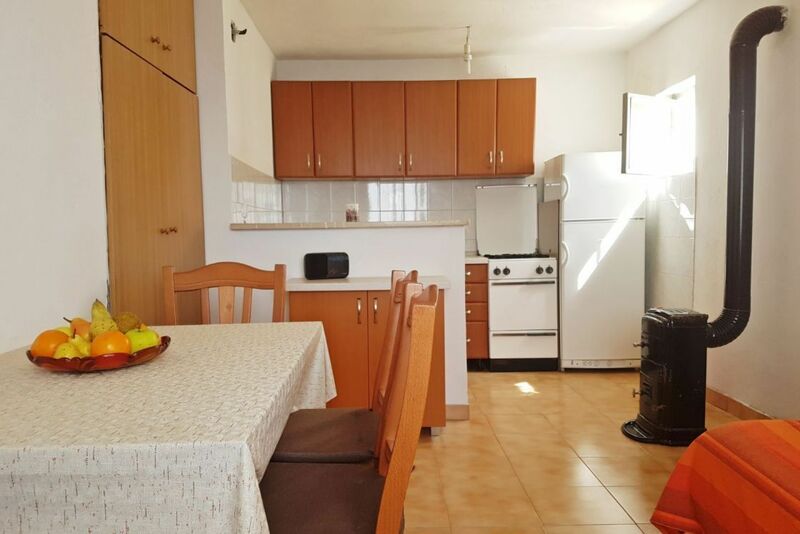 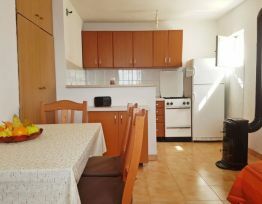 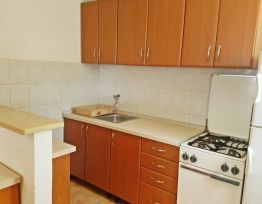 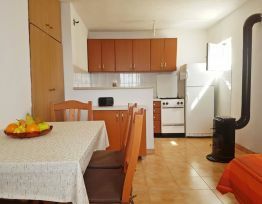 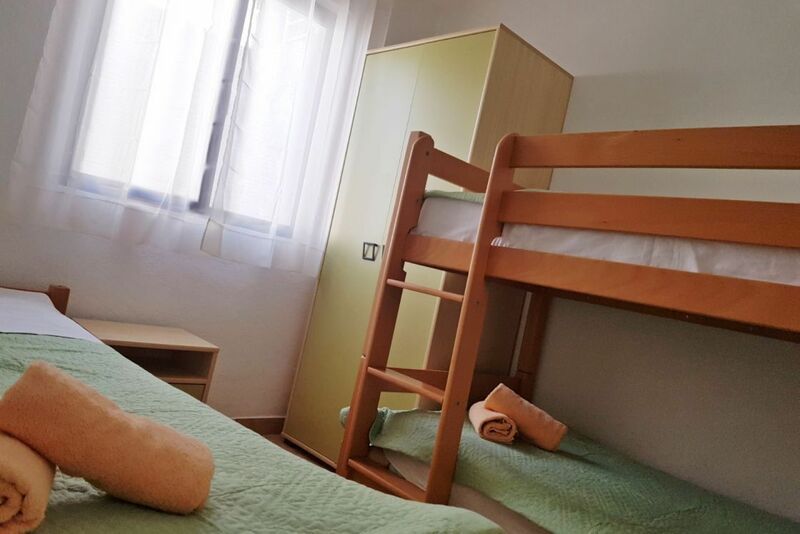 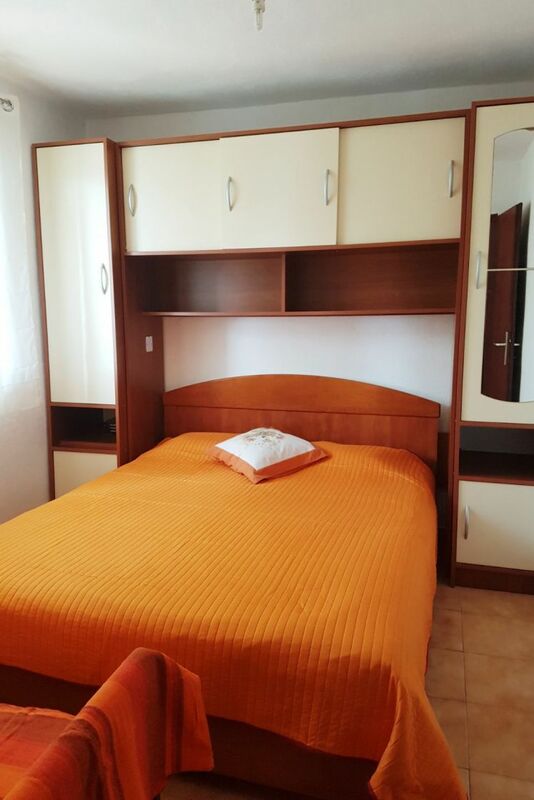 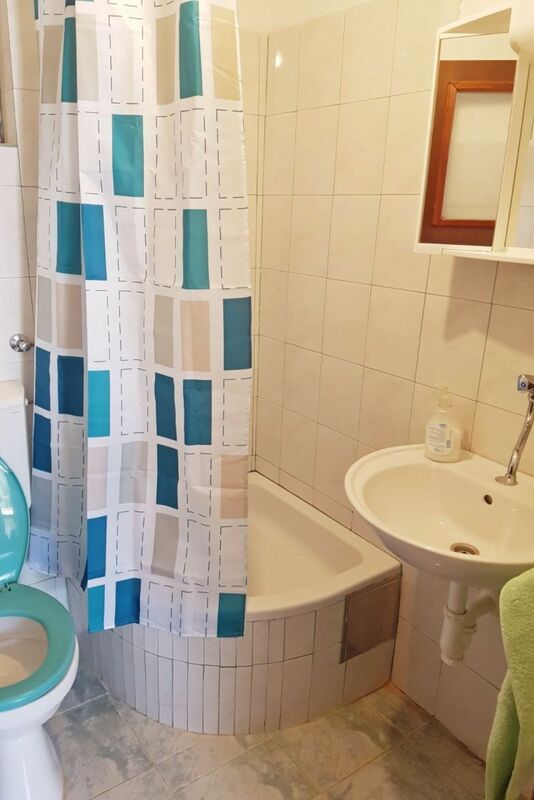 We also have a TV, and provide you with wi-fi connection, and hot water. 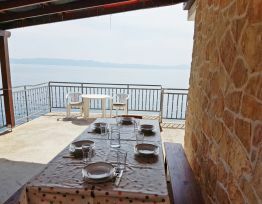 Guests are asked to use water and electrical power rationally. 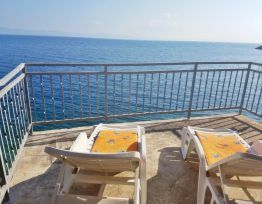 Parties and events are not allowed. 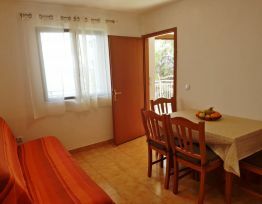 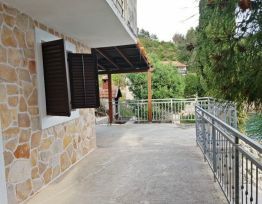 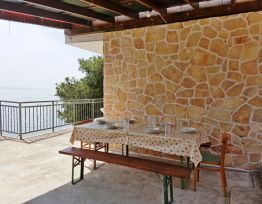 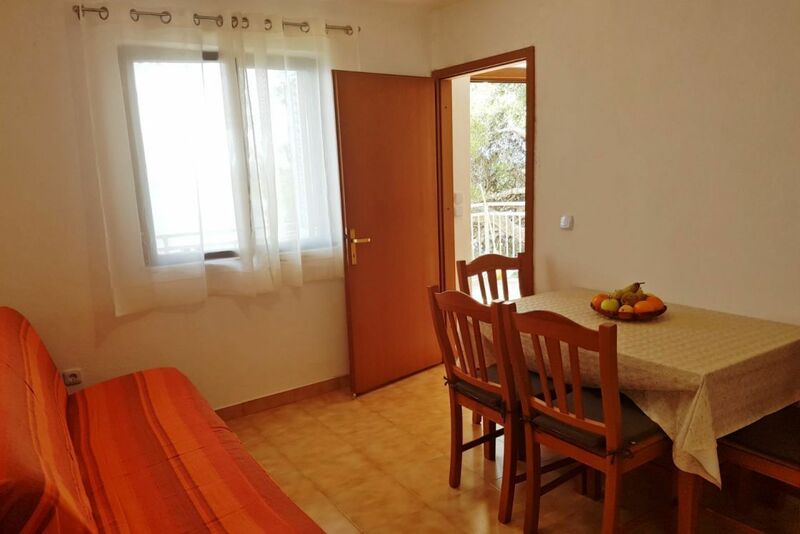 The house consists of two bedrooms, a bathroom, a kitchen and a large terrace. 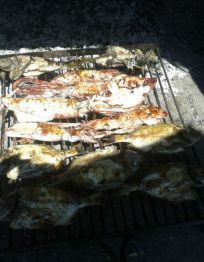 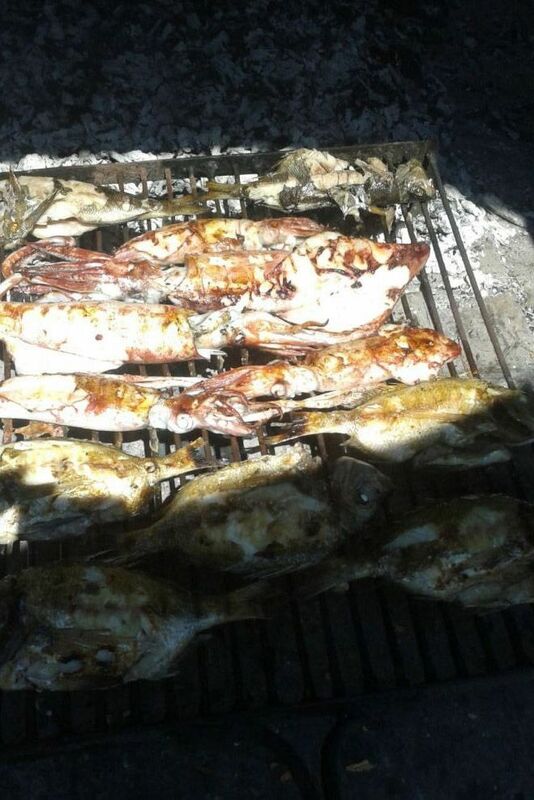 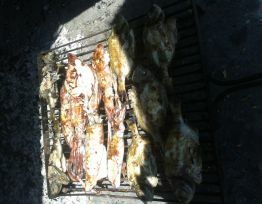 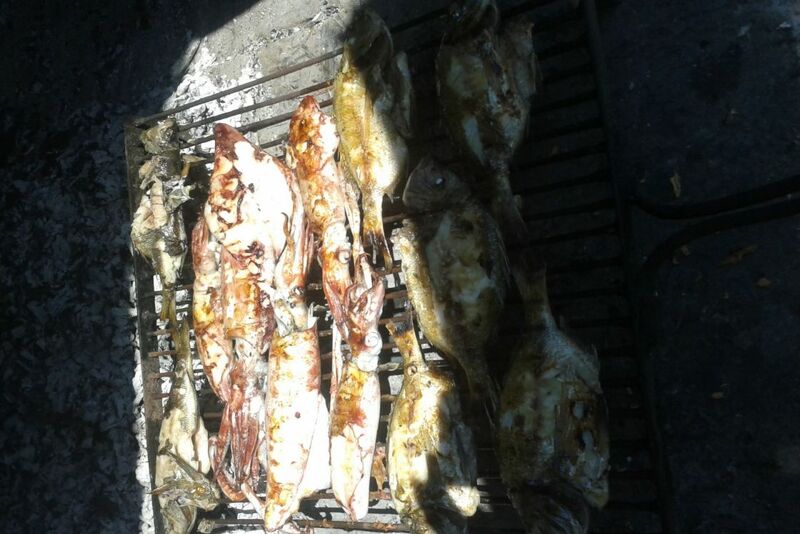 The barbecue is just next to the house (please be very careful when using the grill or smoking, becuse the nature around the house is very flammable). 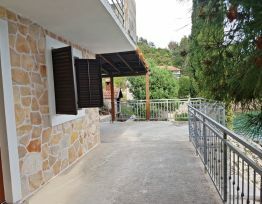 Parking is on the premises, next to the house.